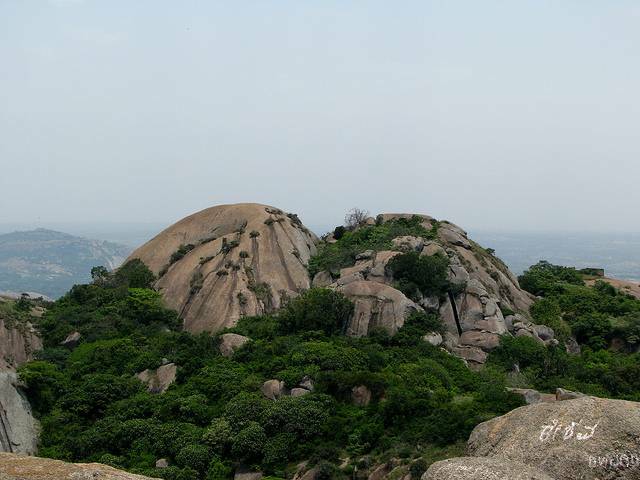 A popular trekking spot, Savandurga is about 60 kms from Bengaluru. Savandurga has two granite cliffs of such magnificent dimensions (4000ft tall and 13 Km circumference) that it simply engulfs everyone in its grandeur. These peaks are famous as Karibetta and Bilibetta amongst the locals which means black and white peak respectively. Savandurga is more famous with religious point of view as Savandi Veerabhadreshwara Swami and Narasimha Swami temple are at the foothills of the cliffs and is visited by pilgrims all throughout the year. Night trek here is quite popular but is advisable to do on a full moon night only. The hike to the top of the hill takes around 2-2.5 Hrs. while coming down could take 1.5 - 2 Hrs. Trek down the hillock could be more challenging for the first timers. Make sure you are wearing sports shoes or proper hiking boots. The challenge here is to find right path. Trick to find the correct route to top is to follow the electric poles all the way to the top of stone hill. Starting around noon would be a challenge. Carry caps, enough water & sun block. Otherwise choose a day with good weather or start in late afternoon. If going via NICE Road, take the longer Magadi road option as that road is much better.